Cross sectional micrograph of the multiferroic device. It consists of a magnetic material called FeGa and a piezoelectric material called PZT. Department of Materials Science and Engineering professor Ichiro Takeuchi has received a three-year, $2 million grant from the U.S. Defense Advanced Research Projects Agency (DARPA) for a proposal titled "MEMS/NEMS Based Multiferroic Magnetic Sensors for Sub-Femto Tesla Detection." The project will explore a new way to construct magnetometers, devices used to detect small magnetic fields and analyze materials and other phenomena, using multiferroic thin film structures. DARPA is interested in developing the technology to expand our ability to detect threats including concealed weapons and explosives. 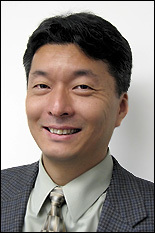 Takeuchi's collaborators on the project are Professor Hong Tang (electrical engineering and mechanical engineering, Yale University), an expert in the field of nanoelectromechanical devices; and Star Cryoelectronics, a leading manufacturer of highly sensitive magnetometers used in biomedical devices, materials evaluation, and geophysical exploration. Existing magnetometers able to achieve high levels of sensitivity, known as superconducting quantum interference devices (SQUIDs), must operate at cryogenic temperatures, which requires a large and costly setup. As a result, many applications that would benefit from high-sensitivity magnetometry, such as weapons detection and certain kinds of biomedical imaging, are not possible outside of a well-equipped lab. The Takeuchi team's design is based on multiferroic thin films, composite materials consisting of two layers, one piezoelectric and one magnetic. Because they can be produced at the micro- or nanoscale, they can be used to create extremely large arrays of microelectromechanical (MEMS) or nanoelectromechanical (NEMS) cantilevers (springboard-like devices) on a chip. "When you make the devices that small," says Takeuchi, "and are able to pack so many of them together, you get high sensitivity, a better signal-to-noise ratio, better signal amplification, and better performance." This project marks the first time anyone has sought to fabricate and demonstrate devices of this kind. If successful, magnetometers based on the new design would be far less expensive to use and maintain than SQUIDs, and the combination of their size and ability to operate at room temperature would make the technology more portable and versatile in the field. Results so far indicate that the new devices could also be very sensitive. 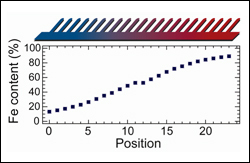 SQUIDs measure magnetic fields, described in units called Teslas, in the pico to femto range—1000 to 1 million times smaller than the nanoscale range. Like SQUIDs, Takeuchi's sensors should also be able to detect magnetic fields in the pico-Tesla range, but he's ultimately aiming for the femto-Tesla range. 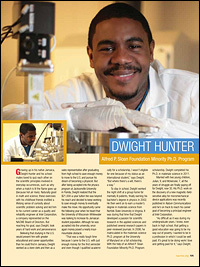 "It would be equivalent to detecting the field from a refrigerator magnet from about 30 feet away," he says. 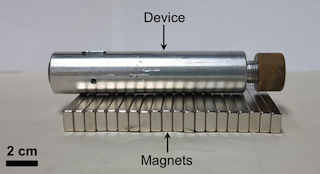 New, easier-to-use devices capable of picking up magnetic fields that small could also be used to detect other threats to human health. The human heartbeat, for example, generates a magnetic field in the pico-Tesla range, and magneto cardiograms (MCGs), an alternative to electrocardiograms (EKGs), are one example of a technology that could benefit from a switch to a more portable, room-temperature platform. "MCGs are much more precise than traditional EKGs in detecting and ruling out cardiac abnormalities," Takeuchi explains, "but if you ask for an MCG at a hospital, most don't have the equipment because it's just too expensive and sometimes too big." 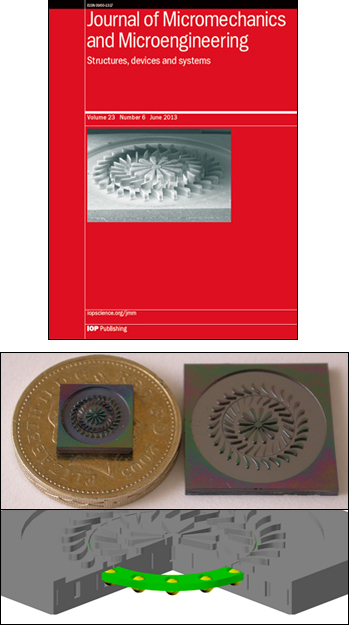 The Takeuchi Group recently published a paper demonstrating a proof-of-concept of their device. Their next steps are to reduce the design to the micro- and nanoscales, address methods of mass-production, and increase sensitivity. "By combining the expertise of the collaborative team, we have the chance to do something truly unique and make devices which have never been made before," says Takeuchi. "It's also very exciting that potentially, applications which previously were not very practical may become possible." 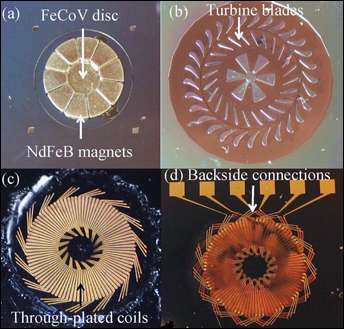 P. Zhao, Z. Zhao, D. Hunter, R. Suchoski, C. Gao, S. Mathews, M. Wuttig, and I. Takeuchi, “Fabrication and characterization of all-thin-ﬁlm magnetoelectric sensors,” Applied Physics Letters, 94, 243507 (2009). 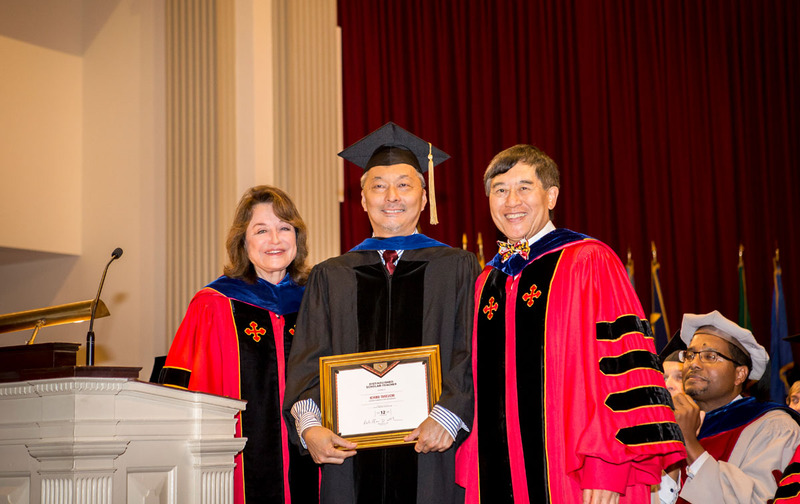 T.-D. Onuta, Y. Wang, C. J. Long, I. Takeuchi, "Energy harvesting properties of all-thin-film multiferroic cantilevers," Applied Physics Letters 99, 203506 (2011).